This new variety is probably the sweetest of all. From fruit set it takes 11 weeks to turn yellow and 2 more weeks to become orange. Orange fruits are the sweetest. 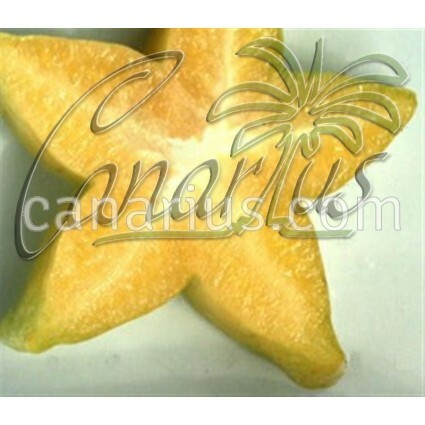 Carambola or "star fruit" is a tropical evergreen tree native to Java and Southern Asia. Its height varies from 3-5 m (10-16 ft), with leaves of 8-18 cm (3-7 ") along the stems and short inflorescences. 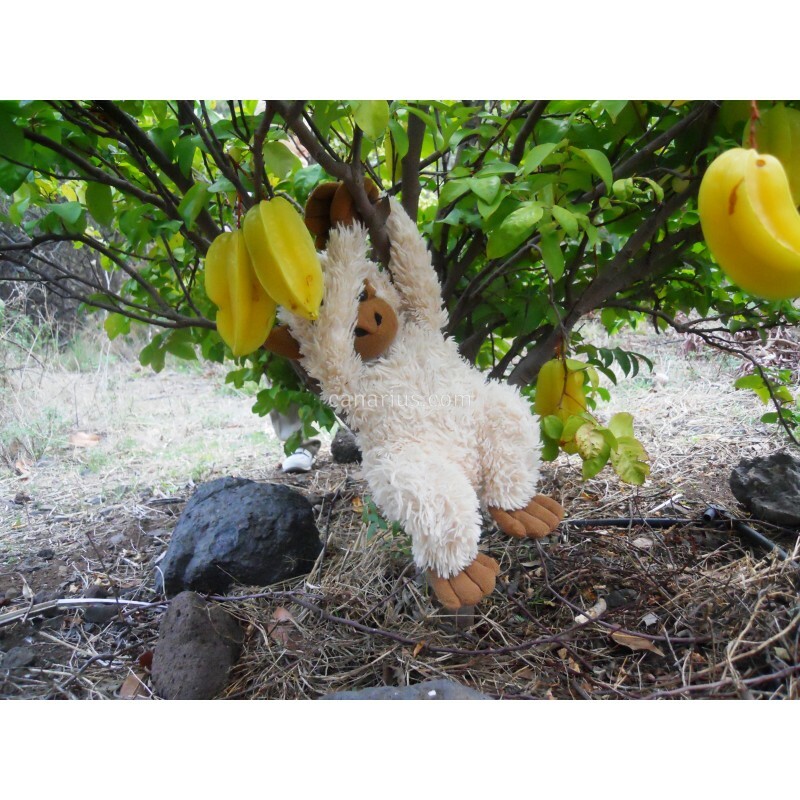 The fruits grow in bunches all over the tree, its shape is a star of 5 points, elliptical, 10x5 cm (4x2 "), yellow-orange when rip. Averrhoa carambola has a thin and waxy skin, with a mild, sweet to acid flesh that is translucent, succulent, soft and crisp. It is available from mid-summer to mid-winter, mostly eaten fresh or in fruit salads and as garnish. Less ripped fruit is best pickled and used in preserves and chutneys. Contains vitamins A and C, phosphorous and potassium.